Now, I hope you do not go run and hide after reading the title of this post! Learning how to make a budget is a lot easier than it sounds. I will walk you through 6 simple steps to create and maintain a budget to track your monthly income and expenses. 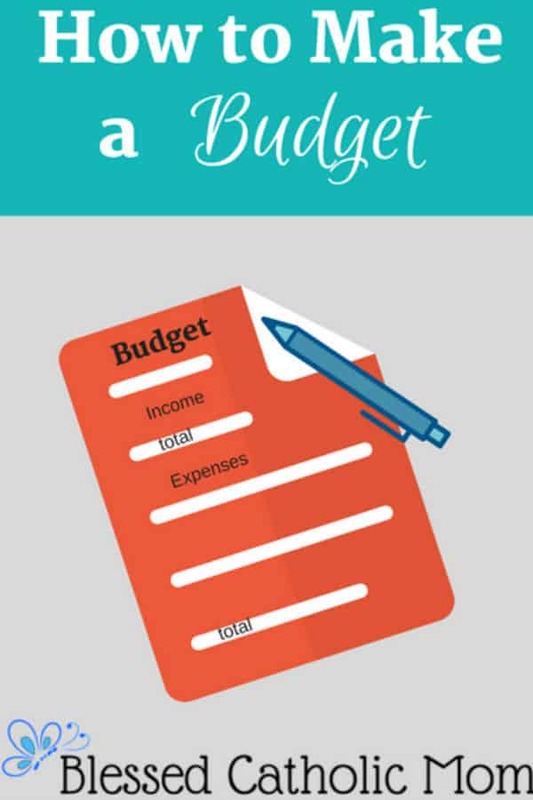 A budget is simply a list to keep track of your income and expenses. That’s it. Its purpose is to serve you in helping you manage your finances and plan where your money will go each month. You don’t need to wait for a new month to begin before you make a budget. If your month has already started, just follow the steps outlined below. The first step is to make a budgeting chart. You can make one on the computer or write one on a sheet of paper. 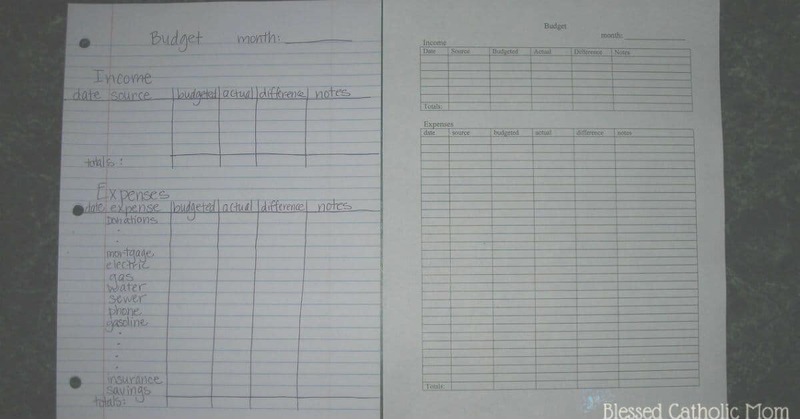 Your chart will have two sections: one for income and one for expenses. This section is at the top of the page. For this section, you will have 5 columns: Source, Budgeted, Actual, Difference, and Notes. If you want to have a sixth column for Date, you can add that, too. Some people have a regular paycheck and one source of income. Others have inconsistent income amounts and multiple sources of income. This chart will enable you to keep track of your income no matter what your income is like. Add as many rows as you think you will need. For example, if you get paid twice a month, add two rows. If you get paid weekly, add five rows to accommodate the months where you will receive five paychecks. If you are an entrepreneur or if your income varies, add as many rows as you think you will need to list each receive income. On the last row, write Total. You will use this row to total up all of your income. This section takes up the rest of the page and may go onto a second page. It is also divided into 5 columns. Label the columns: Expense, Budgeted, Actual, Difference, and Notes. If you want to have a sixth column for Date, you can add that, too. Each expense will have its own row. For example, don’t write utilities on one row, but list each utility on its own row: electric, gas, water, etc. You will know what to add after you gather your information in step two. Add extra rows that you can fill in later if you think of another expense or if something comes up during the month that you need to add. On the last row, write Total. You will use this row to total up all of your expenses. The second step is to gather all of your bills. 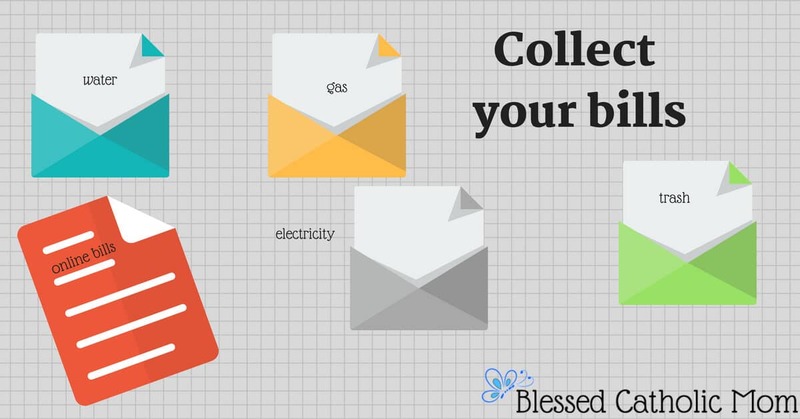 By bills, I mean all of the expenses for which you receive a regular statement, like utilities. If you don’t have a bill handy, you can look up your latest bank account statement and find the most recent amount you paid for a bill. You will also need to identify any monthly amounts you have due that you may not receive a statement for, like charitable donations, or cell phone, or automatic debits to your account. If you are unsure of all of your regular monthly expenses, your bank statement will be handy to help you in identifying these expenses and their amounts. 3. Fill in your chart. Write the information from your bills in the chart. Write the name or source of the bill and the amount due in their proper columns. If you don’t know exactly how much an upcoming expense will be, use your last bank statement to estimate what it will be. Some expenses, like water usage, may fluctuate each month. Fill in an estimated amount in the budgeted column. List all other monthly expenses. There are more expenses we have monthly that we do not get bills for, like charitable giving, food, gasoline, haircuts, or birthday presents. It is convenient to consult your calendar so you don’t forget an important date or something that is going on only this month that you need to budget for. Write these categories down on your chart, too. Estimate what you will spend on them for the month. Don’t forget to add savings as a category, too. 4. Total everything up and set your budget. Now–which one is larger? Subtract one from the other. If your income is larger, you can put all of the extra amount into your savings account. Or, open a savings account if you don’t have one yet and start saving. Log this amount in the savings category. If your expenses are larger, you need to do one of two things: earn more income or cut back on your expenses. Plan to eat out less or cut back on extras. Do you really need those specialized coffees or that pair of shoes this month? Review your expenses section carefully and see where you can cut back so that your budgeted expenses equal your budgeted income. You need to make sure that your expenses subtracted from your income equals zero. In creating a budget, you are telling your income where it will go; you have a plan in place. 5. Keep your chart updated. Keeping your budget chart updated helps you know where your money is going and how much you are spending. For example, if you budgeted $30 for buying coffee at the coffee shop and you notice that you have spent more than that already when you are only half-way through the month, you have a decision to make. You can stop buying coffee or you can move money from another category to increase your coffee budget. Keeping your budget chart updated helps you to stay on track with your budget plan and make adjustments as necessary. 6. Evaluate monthly and adjust as necessary. Each month is a new opportunity to see how well you are doing and adjust if you need to. At the end of the month, review how your month went. How did your budgeted income compare with your actual income? How did your budgeted expenses compare with your actual expenses? What money you have left over you can put in savings or towards one of your financial goals. 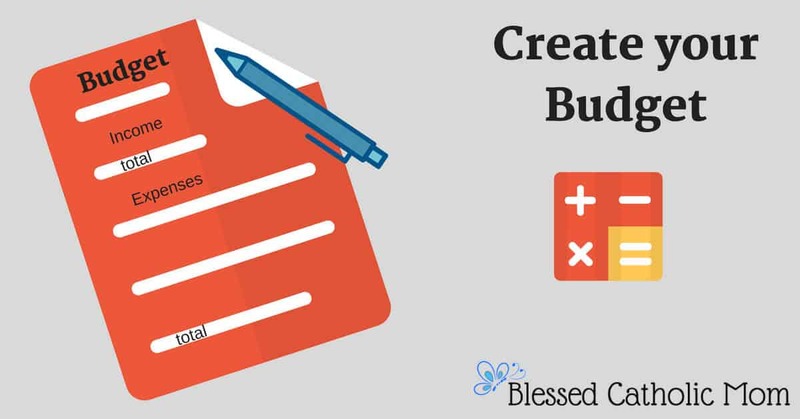 When you create your budget for the next month, look at last month’s budget and make any adjustments needed. You may realize that $30 for coffee each month should realistically be $40 or maybe you want to reduce it to $10 and use the other $20 for something else. Take time to understand where your money is going and discern if you and your husband are making wise choices regarding your money. Remember, we are to be good stewards of all that God entrusts into our care. Being responsible with our finances is one way we can show God our appreciation for His love and care for us. My husband and I will go over our monthly budget together so we both know what our month will look like financially. I tend to be the one who pays the bills and keeps our budget chart updated, but we both know what is going on and we make financial decisions together. When you know where your money is going and why, you can see where you can make changes in your budget to accomplish other financial goals. Is there a trip you two have always dreamed of going on? Start saving for it. Have you been neglecting your retirement accounts? Plan how much you can add to them each month. Are you working to become debt-free? Add every extra penny to your debt to get it paid down faster. One way to put away extra each month toward your financial goals is to use the difference money from your budget. What I mean is, when you estimate an expense and the actual amount is lower, the difference left is money you can use toward your goal. For example, you budgeted $60 for new shoes for your son this month, but you only paid $48.52, put the difference, what is left over, towards one of your goals. It is an easy way to get to your goals faster. It is helpful to decide together at the beginning of the month where you will put this money at the end of the month. Creating and maintaining a budget is not hard at all. It takes some discipline to do it, for sure, but the rewards are well worth the effort. Once you are keeping a budget, it is easier to set financial goals and plan your budget to reflect those goals. For example, in looking back over your latest budget, you may realize you spent $220 eating out, yet you remember passing up buying extra socks at a back to school sale. Taking the time to evaluate your budgets helps you to see where your money is going and motivates you to decide to make changes to reflect your financial goals. If you would like more detailed information and help with budgeting and finances, Dave Ramsey had a lot of resources available. You can check your local library for his books or look at his website (DaveRamsey.com). 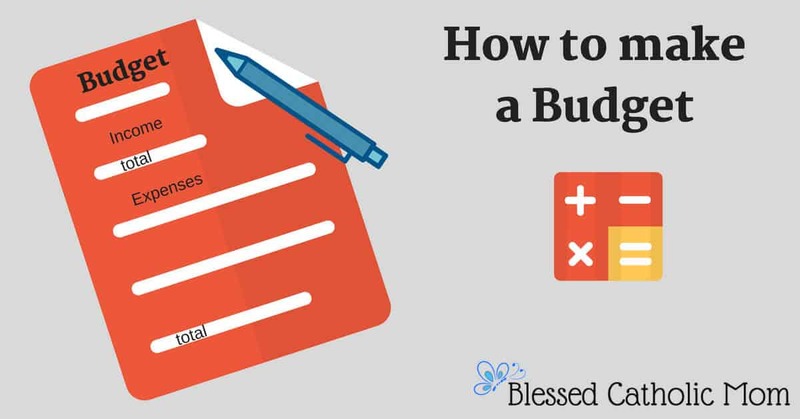 Actually writing down the items in the budget is a major step as it makes you more aware of where your money is being spent. I totally agree with you that husband and wife should work on the budget together as money can be a great source of friction and problems in marriage. You are so right about money being a source of conflict in marriage. Talking about money together, our expectations and plans, helps understand each other and we can work better together as a couple. Thank you.